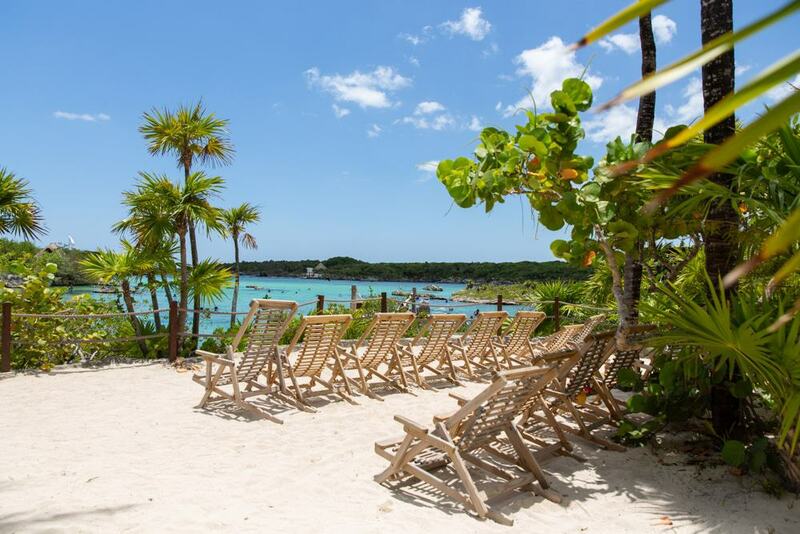 On the Mayan Riviera, Tulum is a coastal resort that has become fashionable over the last decade for its laid-back atmosphere and new age crowd. 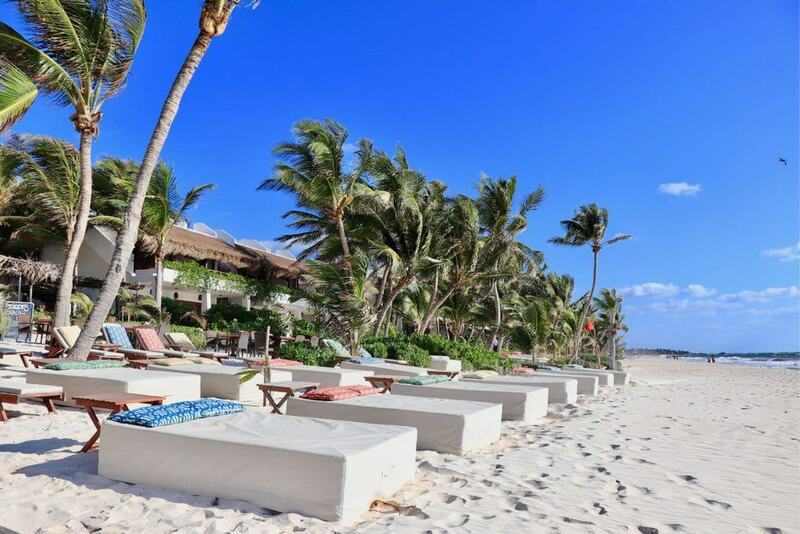 Some of Tulum’s allure comes from its long and wide beaches, peppered with beach clubs and cabaña lodgings, where servers bring everything you could want to your hammock or sun lounger. 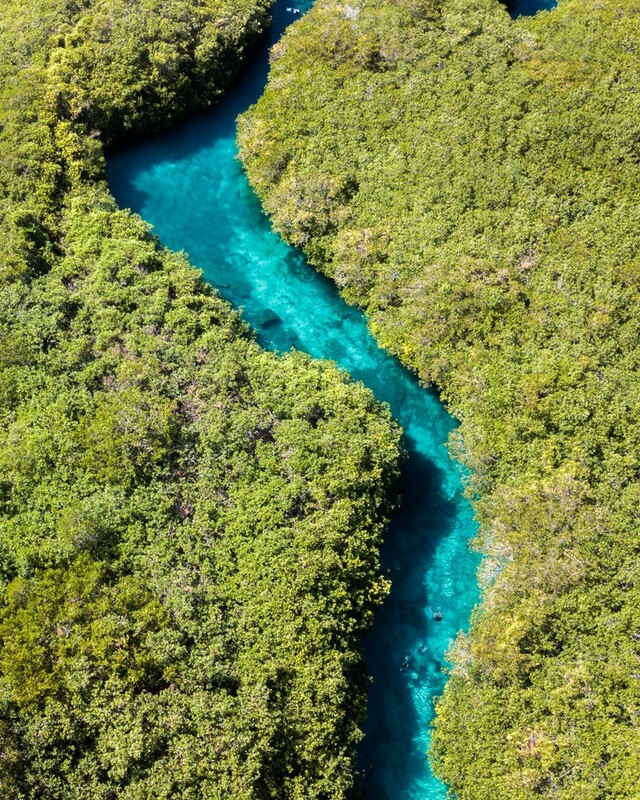 The Mayan Riviera is chiselled with something called cenotes, derived from the Mayan for “Sacred Well”. 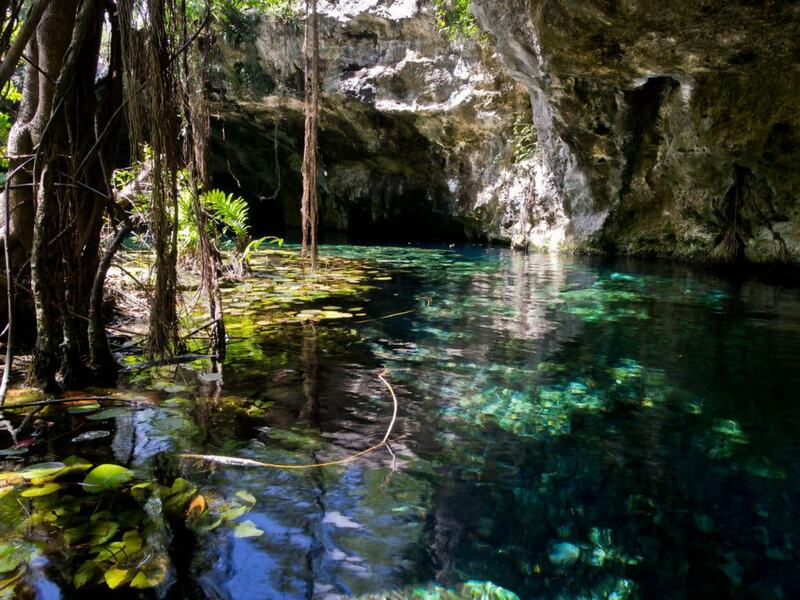 These are springs, caves and underground rivers only found in this part of Mexico. Some have been adapted into eco-parks with a big menu of activities like zip-lining, snorkelling and cycling, while others are less developed and the preserve of expert cave divers. But the very first thing you need to see in Tulum is the namesake Mayan city, hoisted on a cliff top and guarded by walls. Among the last of the Mayan cities, the port of Tulum had its heyday between the 1200s and the 1400s and is unique in that it survived for a few decades after the Spanish had taken control of the region. 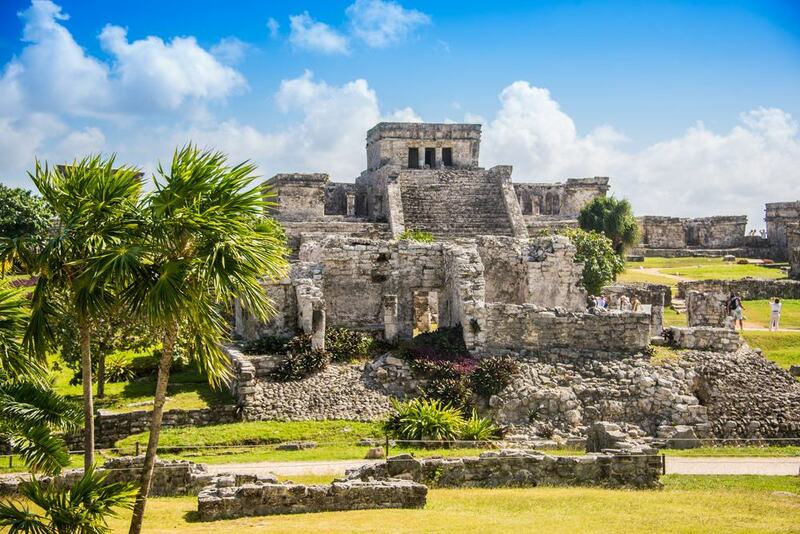 These ruins need to be top of your agenda when you come to Tulum, as they’re some of the most intact Mayan remains on the Yucatán Peninsula, also standing out because of their defensive wall. This barrier is up to five metres high and punctuated by gates, while cliffs form a natural barrier to the east. Alongside that mighty wall, the Temple of the Frescoes is one of the must-sees, with haunting paintings on its interior walls and figurines of the “diving god” in niches on its facade. A UNESCO World Heritage Site and biosphere reserve, Sian Ka’an means “Origin of the Sky” in the Mayan language. It’s a region of mangrove, tropical forest, marshes and lagoons trapped by a barrier reef. Sian Ka’an is valued for its ruins, with more than 20 identified archaeological sites, but also has vibrant biodiversity, inhabited by pumas, jaguars, crocodiles, ocelots, margays, iguanas, howler monkeys, tapirs and rich birdlife, from pelicans to Amazon parrots. On a guided tour you’ll take an off-road drive through the forest and ride out onto the lagoon where you might catch sight of dolphins, turtles, manatees and crocodiles and will have the chance to snorkel in safe waters. Only discovered in 1987, the Sistema Sac Actun could be the largest surveyed underwater cave system in the world. When you combine its dry and underwater tunnels, the system adds up to more than 346 kilometres. Of course, you’ll only witness a fraction, but more than enough to get a feel for this natural marvel. Entrance includes a life-jacket and snorkel, and there are optional extras for your tour like a wetsuit and waterproof camera. The guided tour is 90 minutes long, but will pass by in a flash as you get in-depth information about the cave’s wonderful concretions, the many bats that live among the stalactites and the Mayan archaeology and Upper Palaeolithic remains discovered down here. Hardly 15 minutes up the 307 is an aquatic theme park and archaeological site run by the Xcaret Group. The attraction is on a rocky inlet, known to the Mayans as the place “where the water is born” and used as a harbour by the Spanish. 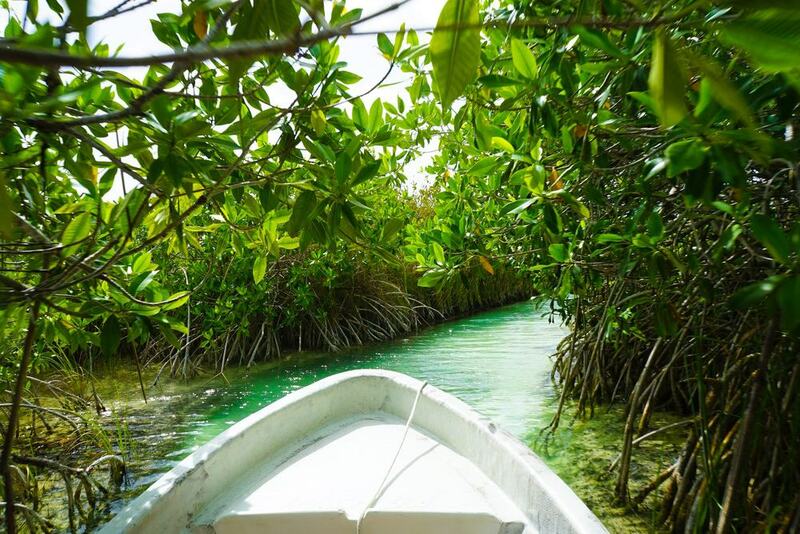 Xel-Há Park is a kind of natural wildlife experience; you can go snorkelling in the lagoon (protected by shark nets) among barracudas, sting rays, parrot fish and tangs, ride a zip-line, hike or cycle through the jungle and investigate cave systems. For relaxation people just float on air tubes and laze a hammock or sun lounger. Tulum’s main public beach, Playa Paraíso begins under the cliffs just south of the ruins. As you go down the terrain levels off and there’s a postcard-worthy backdrop of coconut palms and beach bars with hammocks and soft couches. With a wide tranche of powder white sands there’s enough room on Playa Paraíso for everyone, while the shallow sea is a clear turquoise hue. You could bring your own drinks and picnic, buy something like an empanada or torta (sandwich) from one of the many friendly sellers, or amble along to bar to sip agua fresca, a margarita or icy beer and watch the lazy waves. After touring Tulum’s ruins you can take the stairs down the cliff face to the bathe in the sea. History and bathing are two activities that don’t usually belong together, but at Tulum it’s perfectly natural, especially when the beach is as inviting as this one. The grey limestone cliffs round off the scene, standing 12 metres high before a strip of white sand where the several mammoth-sized rocks have broken away. Right by the road outside Tulum, Gran Cenote gets a lot of visitors. But as the name will tell you, this pair of partially-submerged caves is massive, so if you need to find a quiet space you need only swim a little further. Gran Cenote is also one for families and inexperienced swimmers: Wearing the snorkelling gear and life jacket provided all you need to do is dip your head in the transparent water to appreciate its magical rock formations. Look out for the bats flying or nesting overhead, and the turtles paddling beneath you in the water. Set on Mayan land, Cenotes Labnaha is a non-profit organisation that reimburses the local communities. You’ll have to don safety gear like a life jacket, swim shoes and a helmet and will be given a guided tour of these sublime but less trafficked water caves. Your guide will be well-informed and will explain how the cave’s abundant stalactites took shape, identify wildlife and explain the cave’s significance to the Mayan community. Book in advance online for a lower rate, and the journey begins with a three-kilometre 4×4 ride through deep jungle. On the Mayan Riviera diving can be a freshwater or saltwater activity. Thanks to the many cenotes this region may be one of the best in the world for cave diving and there’s a lineup of centres offering guided dives, training and all the equipment you need. Cave diving is an activity only for advanced divers (bespoke cenote snorkelling tours are also available), and you’ll be venturing to places that have only just been charted. 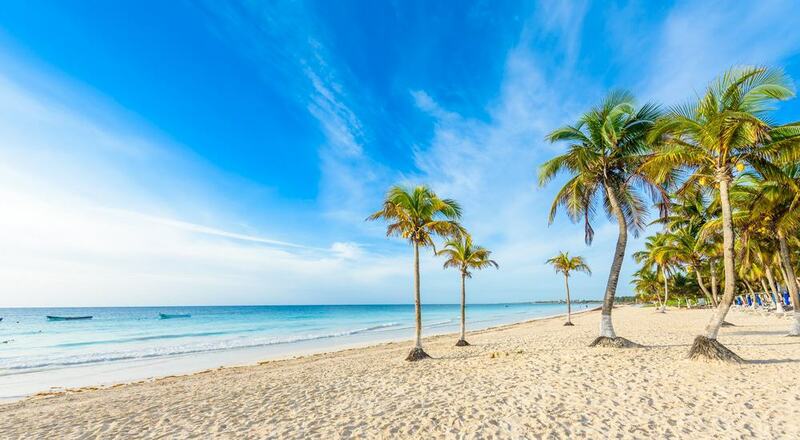 In the sea, Tulum is on the world’s second largest barrier reef. You’ll explore caves and coral arches and swim a few metres from nurse sharks, rays and sea turtles. If you’re a newbie holidaying in Tulum for more than a week you could be PADI qualified in a matter of days, but if time is limited most centres offer taster dives after some theory. Ten kilometres up the coast is one of the less frequented cenotes on the Mayan Riviera. 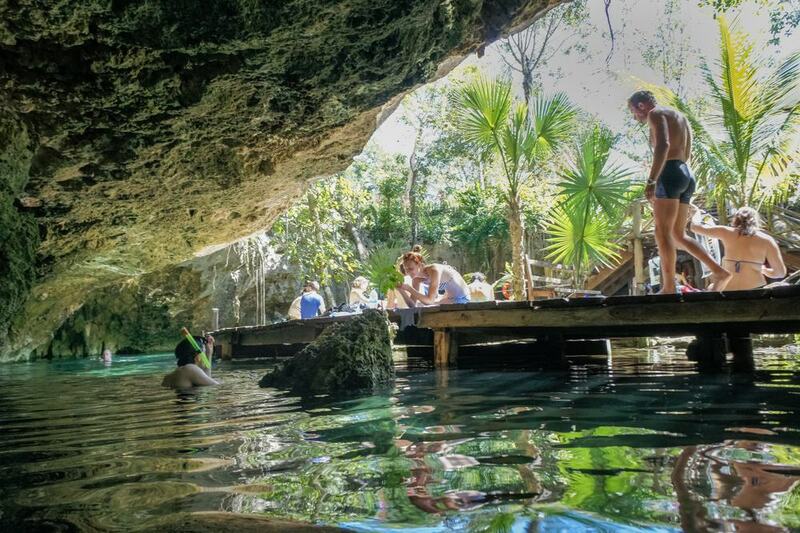 Casa Cenote is open-air, and its freshwater springs filter through to the Caribbean Sea, just a few metres away. With a sandy bottom, there’s a large lagoon of perfectly clear water to cool off in. You’ll pay for entrance and can opt for a guided tour, though this isn’t necessary. If you want to snorkel and get a better look at the underwater life and rock formations you can rent equipment. 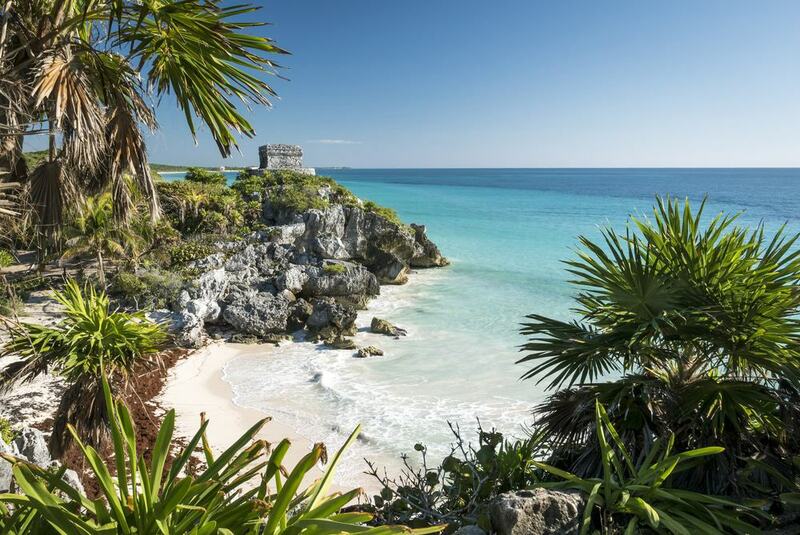 Tulum’s ruins are sensational, but are also among the most visited in Mexico. To see Mayan archaeology in a quieter setting, Muyil is just 15 minutes away on the Sian Ka’an Biosphere Reserve. Many tour companies will provide a combined trip to the ruins and natural reserve, or you could go for a self-guided visit. Muyil also lies deep in the jungle, and is made navigable by raised wooden walkways. Go quietly and you may see a howler monkey or spider monkey in the trees overhead. 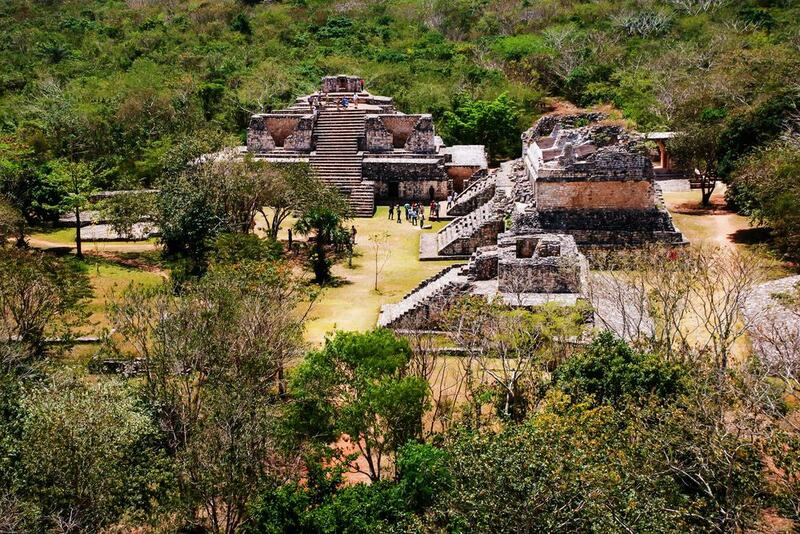 The standout monument is El Castillo, a 17-metre pyramid and there are information boards filling you in about the history of the site that was inhabited for more than a millennium up to 16th century. On the way to the lagoon you can climb an observation tower for the best view of Sian Ka’an. Tulum was the port and outpost for the city of Coba, 45 kilometres inland on the arrow-straight 109. With a large group of pyramids peeking out over the jungle canopy the site is immense, so large in fact that it’s a good idea to rent a bicycle to be able to see it all. At its apogee in Late Classic Period, Coba had 50,000 inhabitants, around the time the city’s famous stelae were carved. These stone documents provide thrilling insights into life in Coba, from clothing to religious rituals and the roles of men and women (many depict women in positions of power). 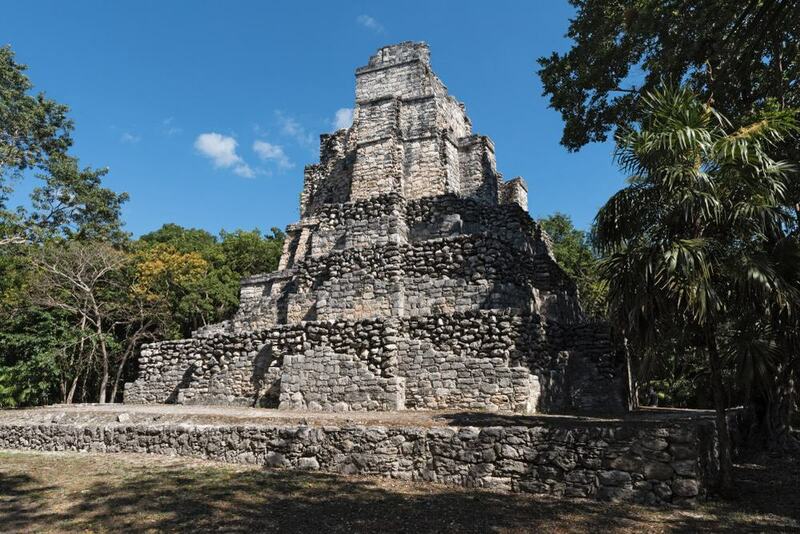 The most photographed monument is the Nohoch Mul Pyramid, the tallest at Coba, cresting at 42 metres and with panoramas of the Yucatán Peninsula and portions of the site that haven’t been opened to the public. A private beach club, Ziggy Beach has a cover charge of $35 USD, which includes parking and a wide and soft sun lounger. In a classic tropical scene, there are swaying coconut palms, white sands and crystal clear seas with knee-high surf. Ziggy Beach is a family-friendly kind of place, so that means no loud music at the restaurant, which is a cut above the average. Under the palm fronds you can tuck into tuna tacos, mango ceviche and shrimp tacos while gazing at the shimmering surf. 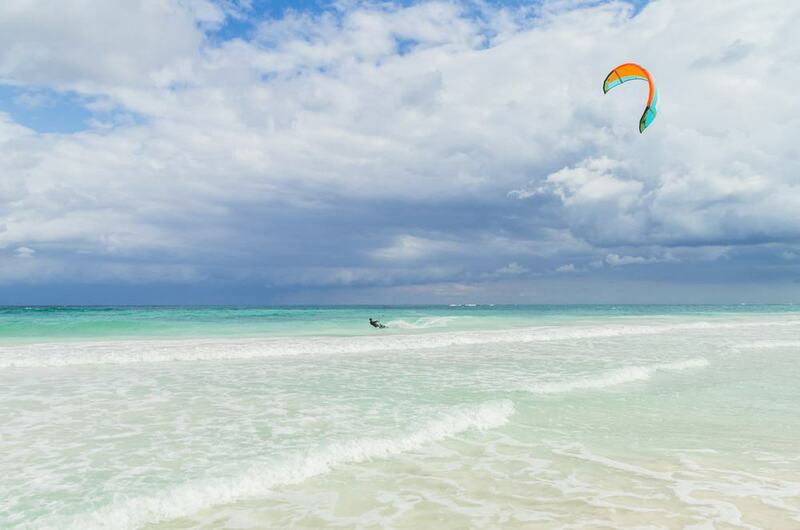 The more open spaces on Tulum’s coast can be buffeted by robust breezes, which is all an invitation for kitesurfers. The warm seas and knee-high waves couldn’t be more appropriate for this sport, and are forgiving for newcomers if you fancy a first lesson. A few companies also provide paddleboarding trips, for a new perspective of Mayan ruins. 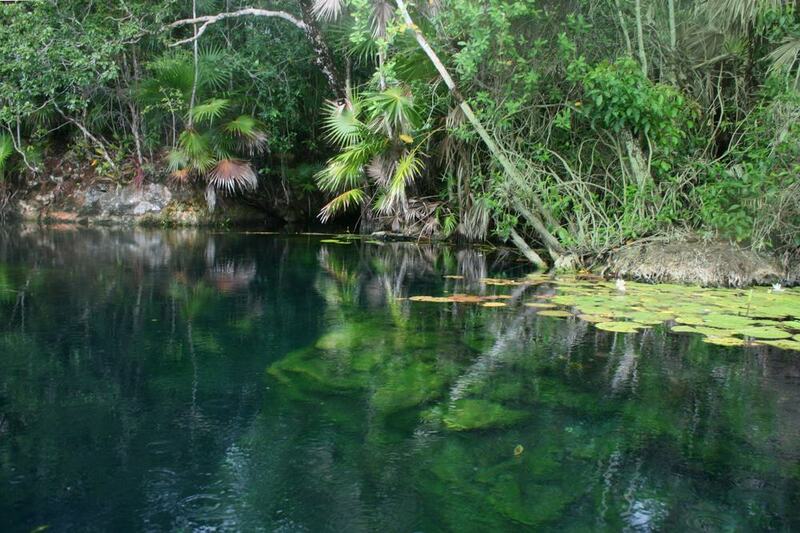 Snorkelling will also become second nature if you visit more than a couple of cenotes. But a few of the diving companies offer snorkelling trips out to the reef, so you can glimpse the magnificent underwater life without needing to commit to a scuba course. Tulum’s boutique hotels and affluent clientele make for cosmopolitan dining, but there will be plenty of Yucateco specialities on the menu. Sopa de lima Yucateca is a light, refreshing chicken soup flavoured with limes. This citrus fruit is also one of the main ingredients in ceviche, a trademark of the Caribbean , made with octopus, shrimp, tuna or squid. 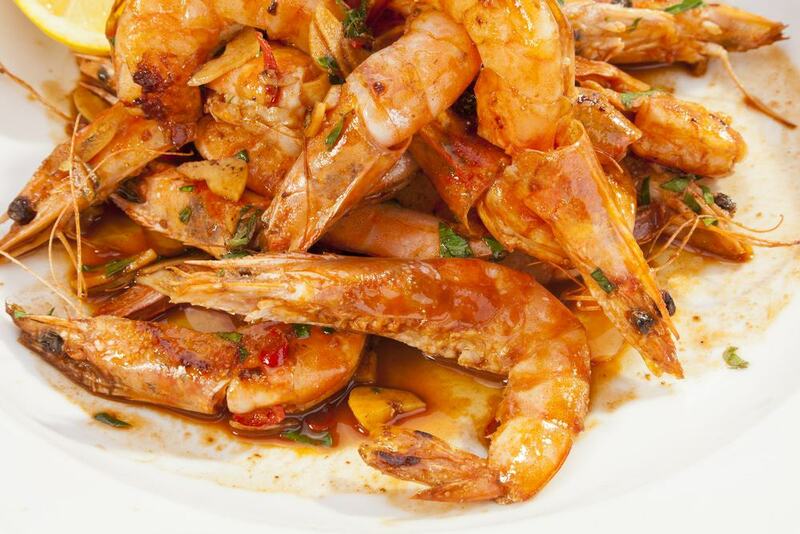 Shrimp in garlic sauce may be a little less daring, while if you want to be really authentic you can sample pescado tikin xic. In this Mesoamerican recipe, grouper or drum is marinated with the local achiote spice and sour oranges and then cooked in a banana leaf under a wood fire. To drink, ice cold aguas frescas are a refreshing alternative to alcohol. A worldwide favourite is horchata, made with vanilla, almonds, rice and cinnamon.